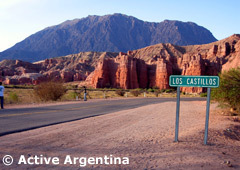 How to get to Cafayate? Where to stay in Cafayate? Visit our Specialist Travel Agency, obtain personalized advice and book your trip online. We speak Spanish and English. How to get to Salta? Where to stay in Salta? What to eat in Salta? What to buy in Salta? 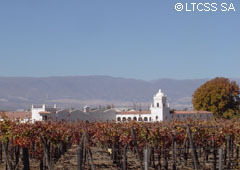 Cafayate is the Cradle of Torrontés, the most typical wine of Salta. To discover this exquisite corner of calchaquí valleys is our proposal. 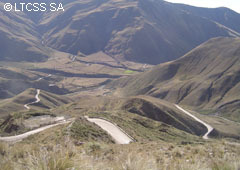 Leaving Salta early to visit the towns of the Valley of Lerma until arriving at Quebrada de las Conchas (the Gorge of the Shells). This magnificent stone wall seems to jealously guard the vineyards of the Valley of Cafayate. The place has a special microclimate for the wine production; given the great thermal amplitude it is not necessary the use of chemical products and a truly organic production is obtained. In addition, the 340 sunny days per year obtain an excellent point of maturation at the time of hoped ‘vendimia’ (harvesting and harvests of the grape). It is a typical premountain range valley, surrounded by the elevations of the Gorge, that in this particular place shows peculiar formations produced by the wind and the water: The Castles, the Amphitheatre, the Throat of the Devil, etc. Already in the town of Cafayate, a warehouse and the Jesuita Mill are visited. Another alternative consists in visiting craftsmen, silversmiths and ceramists. 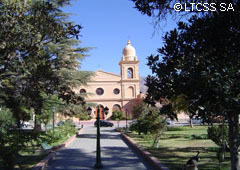 There is a free time for the lunch and soon, in the evening, the return to Salta.